The theory of Yin and Yang has a revered place in Chinese philosophy and practice. 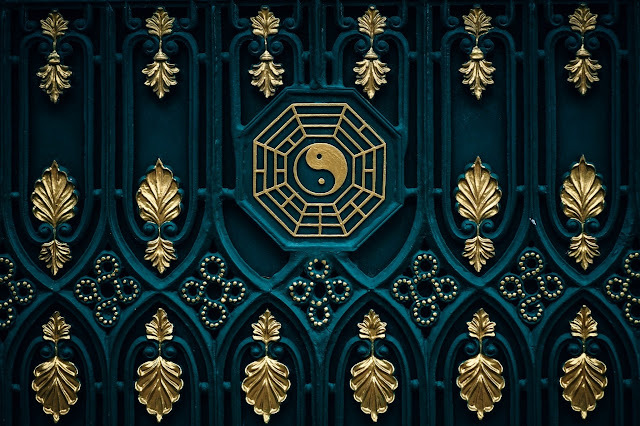 A diverse range of schools of thought in Eastern culture have the Yin Yang theory at its core, including traditional Chinese medicine, martial arts, Taoism and Feng Shui. With the advent of east-meets-west, the Yin and Yang philosophy is being increasingly interpolated into modern western décor. It is thus a great idea to gain an understanding of Yin and Yang in order to ensure these elements are properly balanced in your home. Whether you live in a rented paya lebar apartment or a townhouse in central financial district, Yin and Yang are elements that are omnipresent everywhere around you. The philosophy of Yin and Yang proposes that everything in the universe consists of two forces that are both essentially opposing and complimentarily interconnected. One cannot exist without the other and in essence their duality is an indivisible whole. It postulates that the sum total energy of the whole is greater and more dynamic than their assembled parts. Yin energy is the feminine, dark and calm, while Yang energy is the masculine, white and fiery. Yin and Yang exist throughout your space and a balance interaction between these two energy forces creates harmony and prosperity in your space and around you. Thus, it is important for you to understand these elements in order to properly use them when decorating or styling your home. So now comes the question, how do you use yin and yang in your space? The answer is simple really. It all boils down to one key idea: balance. Duality is in the essence of all things in the universe: creation and destruction, positive and negative. Both forces need to be balanced in order for life to be harmonious. The same philosophy can be applied to home décor and styling. The key idea is no different and remains the same: the yin and yang forces in your home need to be balanced in order for your space to be in harmony. Only then can you ensure the optimal mental and physical wellbeing of you and your family. It is absolutely necessary to have equal parts of both Yin and Yang energy in the sum total of your home. However, although you need “balance” in your space, it does not mean that both energies must have equal footing in every space. Depending on the overall ambiance and feel required for each particular space, this balance will require a stronger presence of one or the other energy according to what you want to achieve in each space. The bedroom is usually a place where relaxation and serenity reigns supreme. In these cases, you will need to incorporate more Yin energy throughout the bedroom, as Yin refers to anything and everything that is soft, gentle, relaxed and silent. The addition of the feminine counterpart of the energy diad will create a calmness that is exactly what you would want to bring in the bathroom. The focus on Yin energy can be achieved by incorporating cooler and deeper colors, such as blue and purple. Gentle and deep textures are also great contributors to Yin energy. Otherwise, you can try to remove elements of Yang energy in order to skew the balance towards Yin. You can accomplish this by removing elements that have active and driving forces, such as the television and/or exercise equipment. The focus on Yin energy, however, does not mean that Yang energy should be non-existent. Instead, it can just take the back seat in the bedroom space. Consider using more subtle ways of including Yang energy. For example, you can use vibrant colors and vivid imagery (which reflect Yang energy) in smaller doses and elements. The bathroom is another typically Yin space. You can incorporate Yin elements through a focus on neutral colors and elements. As always, you will need to add in a bit of Yang for balance, though not too much. A great way to do that is to use accents such as towels in bold colors such as red. The living room and family are traditionally spaces that are dominated by Yang energy, which symbolizes activity, interaction, liveliness and warmth. In such spaces, the color palette tends to skew towards bolder and warmer colors. Organic life, such as potted plants or flowers, especially in vibrant hues, are very suitable for Yang spaces. Accents such as family pictures and the lively sounds of conversation and laugher are also great elements that emphasize the masculine Yang essence. The kitchen is a space where images of work, heat, movement and cooking comes to mind. Naturally in such spaces, Yang energy is emphasized. One great design route to go is by incorporating bright lights and industrial accents. Balance the Yang dominance by adding some subtle and quiet hints of Yin through the dark colors in a backsplash or gentle, fluid lines in accent pieces. A home study or office is also another essentially Yang place. In such spaces, you need the Yang energy to drive you in terms of productivity. Thus, consider incorporating bright colors, vivid patterns and colorful books in order to achieve a sense of dynamism and productivity. However, remember too not to forget to balance the dominant Yang energy with some Yin energy. This can be accomplished by adding comfortable seating and accent pieces in light calm colors. Ulasan untuk "Understanding Yin and Yang and How To Use It In Your Home"